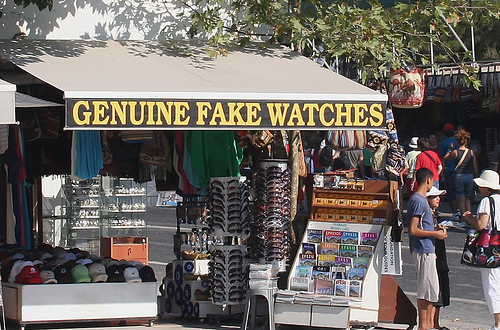 « Shatterdays and Shundays …..
Whilst walking in the market in Marrakech I heard the cry "Genuine fake!" It reminded me of the magic bullets, quick fixes and secret formulas that are peddled by so many self-appointed success gurus. More information isn’t what’s needed. If it were that easy, everyone with an internet connection would be walking around with a six pack, a bulging wallet and a permanent smile. As someone once said, "The big problem with self-help is that there’s usually too much help and not enough self." Yes, it would make life easy if you could buy fortune and fame from your local store, but that’s not how the evolutionary process works. We’re born to learn. There was a time when Einstein couldn’t count to ten and Shakespeare had to learn the alphabet. Each incorrect answer, each wrong turn, each slip up makes the brain a little bit stronger and wiser. All we need to know is that although we might not have got there yet, and we might not get there tomorrow, we can eventually get there. A research study spanning over 40 years by a team at Stanford University has shown that the ability to delay gratification is critical for success in life. This means making a choice which requires self control and discipline, like eating a healthy meal, doing some exercise, or being creative rather than taking the easy route of watching TV, eating chips and getting distracted. The research shows that the more often we delay instant gratification, put in the work and do what’s required, the easier it becomes to focus on what matters most. Sir Dave Brailsford, Head of the all conquering Sky Cycling Team focuses on improving everything the team does by just 1%. "Success Curve" taken from The Slight Edgeby Jeff Olson. Small daily improvement is the methodology of champions. Just be a tiny bit better than you were yesterday and then repeat, every day. With a little grit and stickability you’ll get to the end of the success curve, pick up your pot of gold, and realize that you were great all along. 1. A blowfly goes into a bar and asks: "Is that stool taken?" 2. A very old man was driving his car down a one-way street when a policeman stopped him. The cop said, "Didn’t you see the arrows?" "Arrows?" replied the old man, "I didn’t even see the Indians." 3. Gambling has brought our family together. We had to move to a smaller house. 4. There’s no end to his talent – and no beginning either. 5. A racehorse is an animal that can take several thousand people for a ride at the same time. 6. What is a physicist’s favorite meal: Fission Chips. This entry was posted by admin on August 24, 2014 at 5:57 am, and is filled under Sunil Bali, The Art of Awesome Living, The Book of Awesome Humour. Follow any responses to this post through RSS 2.0. Both comments and pings are currently closed.